Checking filter bags for air/powder leaks is a recommended procedure whenever new filter bags are installed, and as a routine maintenance procedure. Filter Holdings offers Detect-A-Glow leak detection powders, and Detect-A-Glow lights, to support accurate filter bag leak detection and leak source pinpointing. Detect-A-Glow leak detection powders are highly-concentrated fluorescent dyes dispersed in an inert base. Detect-A-Glow leak detection powders are specially engineered for optimum particle size distribution and flow properties. Available in four specially-selected colors, Detect-A-Glow leak detection powders can be used individually or in complementary pairs to spot filter bag leaks and pinpoint their sources. Detect-A-Glow leak detection powders come with a comprehensive guide which includes usage information, information on how to spot and eliminate leaks, and information on how to re-check for leaks. The Detect-A-Glow leak detection powder usage guide also includes suggested quantities to use for each application. Detect-A-Glow lights are high quality durable lights used for finding hard-to-detect leaks. These lights feature a powerful UV lamp with a visible light filter and specular aluminum reflector, mounted in rugged 304 stainless steel housing. 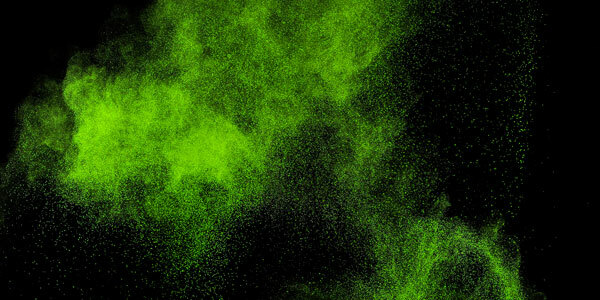 Using our Detect-A-Glow Powders with a Detect-A-Glow light, in conjunction with Permashield Pre-coat Powder, is your best assurance for a successful start-up, headache-free operation, and maximized filter bag service life.